Explícito Jeff Emmerson talks "Beyond ADHD"
Author Jeff Emmerson talks about his suicide attempt, being diagnosed with ADHD and extending his efforts to those struggling with mental health. This is an incredible story that will touch your heart and open your mind. 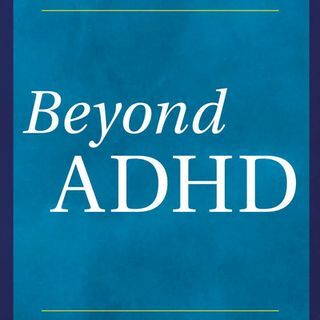 Beyond ADHD weaves Emmerson’s personal story of his ADHD diagnosis, exploring along the way the latest medical, scientific and societal explanations and tools for managing and living with the condition. Including ... Más informaciones interviews with a number of experts at the forefront of next-generation ADHD diagnostics and treatment, he questions the cookie-cutter way ADHD is commonly diagnosed and treated. Suggesting that the list of symptoms often used to identify ADHD can be attributed to many other disorders and conditions, he explores how and why ADHD diagnoses have increased by 50% in the last ten years. Emmerson advocates a different approach to ADHD, arguing that it should be a diagnosis of exclusion rather than the other way around, and that we must look past the label, recognizing that individual symptoms vary and treatment plans should be better tailored to the individual. He examines mental and behavioral issues from all sides, including the possibility that nurturing – rather than trying to alter or suppress – the active, “360-degree” mind is a viable way for those diagnosed with ADHD to realize their gifts and lead purposeful lives.